As the upcoming months are full of festivals and wedding season, so it can be a tough task to those beautiful ladies who love to wear saree. 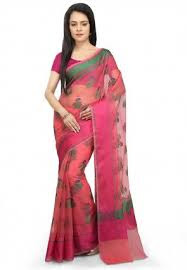 Saree is the most beautiful traditional wear in India and we can see many types of sarees are available in the market that you must have in your wardrobe for looking gorgeous. 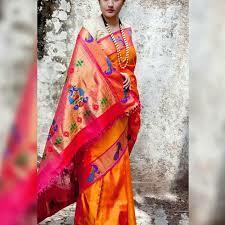 Banarasi sari is one of the most beautiful Indian saree made in Banaras now known as Varanasi, the holy city of India. 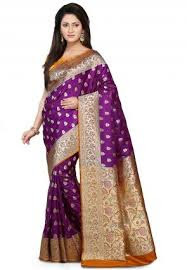 Saris from Banaras are considered as one of the finest saris in India and especially known for heavy work of gold and silver brocade or zari and embroidery. Banarasi sarees are not only traditional attire, but a symbol of pride, happiness, union, and celebration for Indian women. 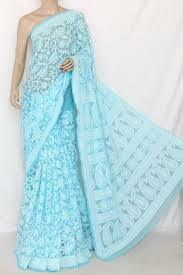 Kota is a famous place in Rajasthan that is popular for Kota Jali or Kota Darai sarees. Light-weight and transparent, these sarees are made in small villages in and around Kota. Being airy in nature, they are ideal for summers and drape around you gracefully. The weaves have different yarn gauges creating a checkered graph like the pattern called ‘Khats’. Besides the cotton version, you can also experience Kota in silk. 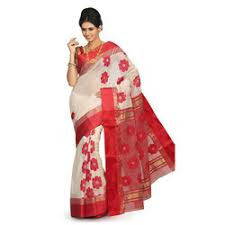 Tant Saree is a traditional Bengali style saree made by the weavers and meant for daily use. Tant saree is most comfortable saree for the hot Indian summer. Also called Settu saree, it was traditionally only a mundu (a dhoti), blouse and a stole that went across the blouse. A lot of old ladies still keep this style alive. The Kasavu saree is a modern version and is characterized by a thick golden border, which is woven with threads of real gold. 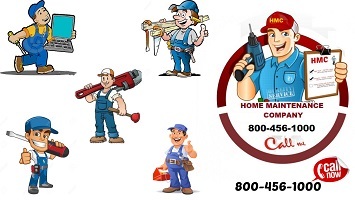 However, keeping up with the times, it has diversified to include colors and artificial thread. Traditionally designed and tailored at the land of Madhya Pradesh, India, Chanderi sarees give the royal affairs a pretty peek. One of a kind of tissue silk, this is the luxe type of sheer sarees. 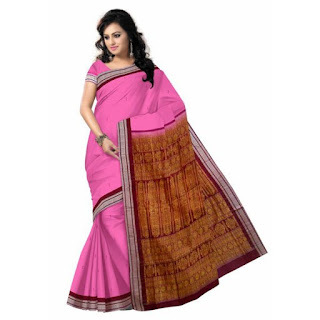 Chanderi sarees online are also known as the masterful art of the textile industry. They are given various patterns such as a traditional coin, floral art, peacocks and geometrics into different chanderi patterns. 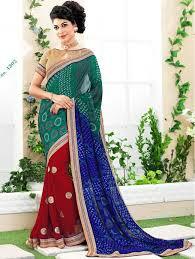 These sophisticated online sarees can be paired with any type of heels but avoid printed ones. Wear traditional jewelry to accentuate its beauty. 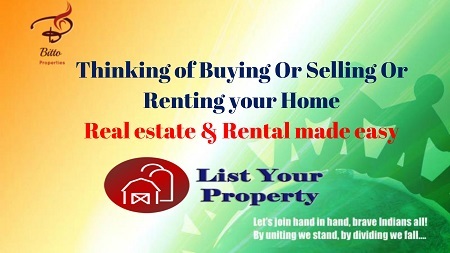 House warming parties, birthday times, pre or post wedding events and much more are just apt for these sarees. Sualkuchi is a multi-caste town under Guwahati Sub-division of Kamrup district of Assam. They are famous for weaving delicate gold colored Moga silk and have their own style of thread work as well. Rajasthan and Gujarat are prime destinations for buying these fit-for-summers, flowy and fluid sarees.Made from the traditional tie and dye art with characteristic ‘dots’ pattern, Bandhani sarees are made in fine cotton, georgette, cotton-silk blends, crepe, chiffon and resilient silk variants. Lehariya is a popular tie and dye art that works with wave (Lehar) pattern. Vibrant and bright, Lehariya sarees are a burst of colors, and I love them for all their multi-hued glory. The queen of sarees, Kanjeevaram sarees are made from a traditionally woven silk from the region of Kanjeevaram. 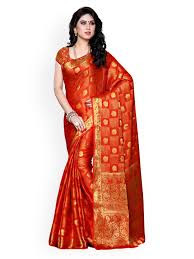 The sarees are rich in color and texture. They are elegant, refined and graceful, all in one drape. Also known as the Sonepuri silk, Bomkai saree is a piece of art with ikat, embroidery and intricate thread work, all woven into one beautiful nine-yard wonder. They are available in silk and cotton and make for a good festive wear. The Paithani saree is a specialty of Aurangabad. 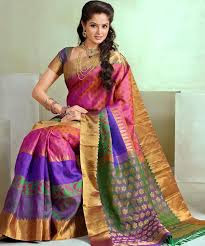 The hand-woven silk saree is grand and elegant. It's zari border, fine motifs, and the recurrent peacock design is what sets this saree apart. If you ever set feet on the soil of Lucknow, you'll know that Chikankari is something that is exclusive to this town. Traditionally done on a muslin cloth, it is now available on almost all kinds of fabrics. Make sure to get your hands on this one!